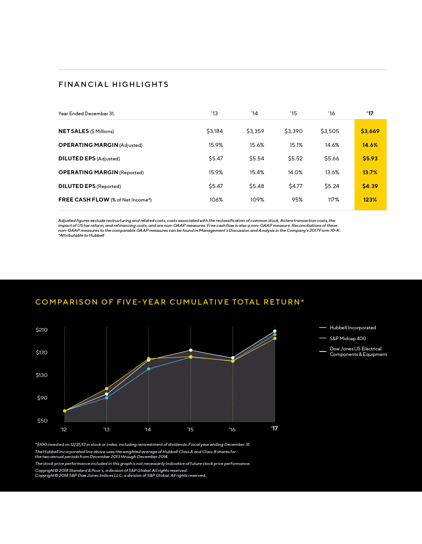 Hubbell continued its strong performance in 2018 as we grew net sales by 22%, improved productivity and raised our dividend by 9%. We also moved forward with the successful integration of Aclara, the largest acquisition in our history. 2018 was another productive year for Hubbell. Our employees once again delivered high-quality results and made significant progress on our core strategy to be a trusted provider of reliable, electrical and related infrastructure solutions with high-quality service. 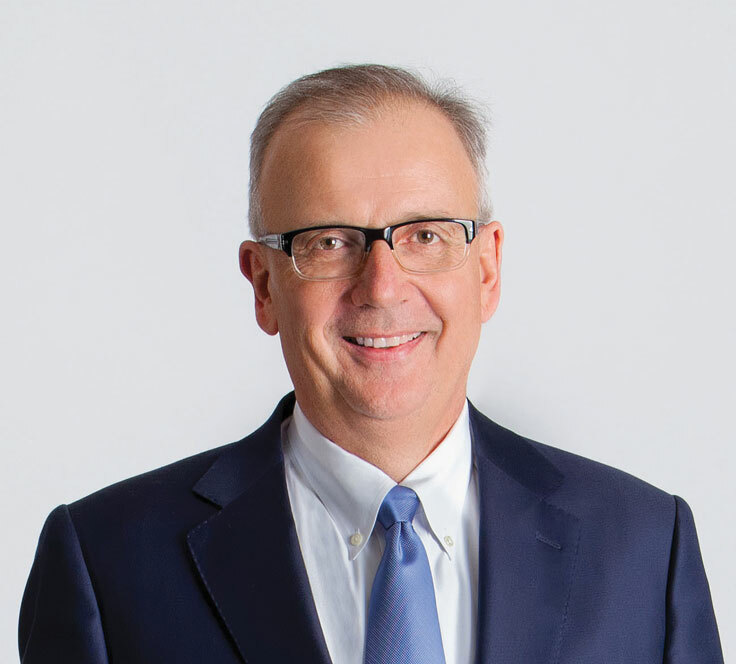 We grew net sales by 22% in 2018, while generating 41% growth in free cash flow(1) and successfully integrating Aclara, the largest acquisition in the Company’s history. Our strong cash flow generation allowed us to increase our dividend for the 11 th consecutive year while investing to position the company for future success and paying down debt related to this successful acquisition. Our objective is to grow at twice the rate of our markets through organic growth and acquisitions while operating a competitive cost structure. This allows us to deliver high single digit earnings growth plus dividends to shareholders over the long term. Throughout our history, Hubbell has been committed to doing business responsibly. We believe in measuring our progress not only in terms of our financial accomplishments, but also in running our business sustainably and in the best interests of all of our stakeholders. In this year’s report, we have provided a summary of sustainability in action at Hubbell. We believe that identifying these commitments and the actions we are taking to fulfill them is part of being accountable to our stakeholders. We are proud to now dedicate part of our corporate website, hubbell.com, to disclosing Hubbell’s commitment to corporate social responsibility. We intend to only expand our disclosures regarding the company’s commitment to various environmental and social matters as we move forward into 2019. The closing in early 2018 of our acquisition of Aclara marks an important milestone. The successful integration of Aclara is already delivering value to customers and shareholders through complementary capabilities, expertise and market opportunities for smart infrastructure solutions. We are pleased with the integration from a strategic, financial and cultural perspective, and are excited for future opportunities as we leverage the Hubbell portfolio to address utility customer demand for data and integrated solutions. We achieved strong organic net sales growth of 4% in 2018, with acquisitions contributing another 18% to our net sales growth. We saw growth across each of our five primary end markets - Non-Residential, Electrical Transmission & Distribution (T&D), Industrial, Oil & Gas, and Residential. We achieved particularly strong growth in our gas distribution business, as well as in our industrial and outside-plant telecommunications end markets. Electrical T&D market growth was also a highlight, with small to medium sized projects spurring transmission growth and ongoing utility capital spend contributing to strong growth in the distribution market. We faced several external challenges in 2018, including the impact of higher raw material costs and the implementation of the U.S. tariffs. These inflationary headwinds negatively impacted our operating margins, but we implemented price increases and productivity actions throughout the year to mitigate them. We are encouraged by the progress we have made thus far as price realization increased sequentially in each quarter of 2018, and we expect further benefits from price and productivity in 2019. 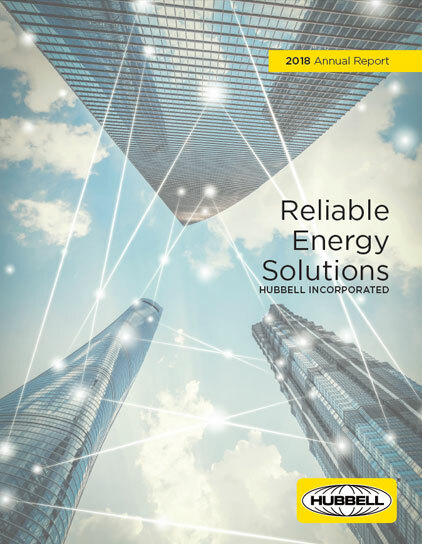 As we look back on an eventful year for Hubbell, we believe we have continued to take actions that allow us to better serve our customers and solidify our competitive position while generating attractive returns for our shareholders. I want to close by thanking our employees. Our success is only possible through their talent, professionalism and commitment to serving our customers. With their continued efforts, I am confident that our Company’s future is bright. (1)Adjusted operating income, adjusted operating margin, adjusted diluted earnings per share and free cash flow are non-GAAP financial measures. A reconciliation to the comparable GAAP financial measures can be found in Management’s Discussion and Analysis of Financial Condition and Results of Operations in our Annual Report on Form 10-K for the year ended December 31, 2018, filed with the SEC on February 15, 2019.